“Come in. Take a seat, please!” a white-haired man told me after I came in to Ledjar’s house. 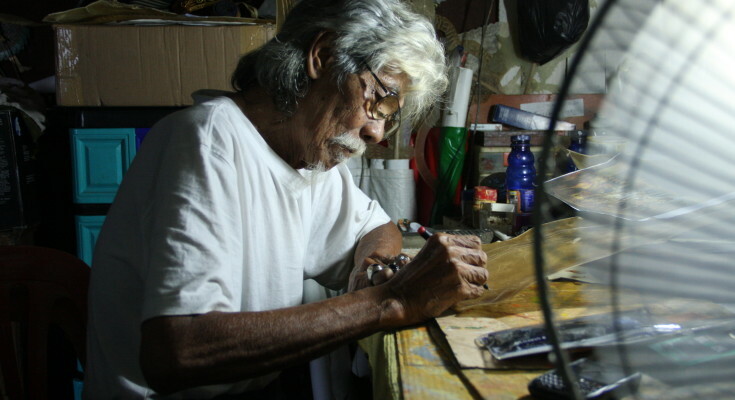 Ledjar is Yogyakarta-based puppeteer. Located in one of the most crowded streets in Yogyakarta, Mataram Street, his homely house has a small shop with shadow puppets in the front part. “Could I meet with Mbah Ledjar?” I asked after sitting down. “Of course! Mbah Ledjar is me,” as he laughed his friendly eyes sparkled behind his glasses. Then, conversation flowed between us. Great choices in one’s lifetime never come without any stories behind them. That’s also the case with Ledjar’s choice of becoming puppeteer. Ledjar was born in a family close-to-the-arts. His father was an artist in his hometown, Sampuran, Wonosobo, Central Java. He was also a member of Ngesti Pandawa, a Semarang-based puppeteer group which was fostered by Ki Narto Sapdo. 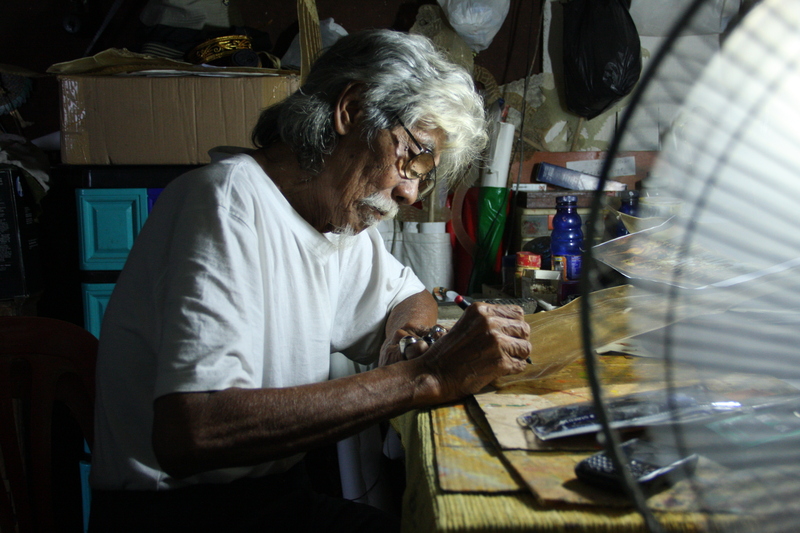 His father and Ki Narto Sapdo were two influential people in leading Ledjar towards puppeteering as his art medium. He was 18 years old when he decided to join with Ngesti Pandawa. There, he studied making puppets, playing with puppets and more. From Ki Napto Sapdo he also got ‘Ledjar’ as his name, which lasts until today. Born on 20 May 1938 as Djariman, ever since he has been going through life as Ledjar. Besides his father and Ki Napto Sapdo, his environment played an important role too. As Ledjar said, at that time many people loved puppetry. He grew up in a time when puppetry were a favorite pastime. It was easy for Ledjar to love working with puppets. However, as he was getting older, Ledjar found a stronger reason to work as a puppeteer. “Later, I realized that a puppet is a good medium to give information and to educate people, especially if the puppeteer is able to spark their interest with the show,” he said. These days, he finds people’s enthusiasm for puppetry is waning. That fact only reinforces his passion in making and playing with puppets. Ledjar considers himself to be a preservationist of one of Indonesian cultural heritages by working with puppets. From Ledjar’s legacy, the wayang kancil (mouse deer puppet) is the most famous one. The very first show of wayang kancil took place in 1980 in Maguwoharjo, Yogyakarta. In the years following the beloved deer even starred in some shows abroad, such as in Germany, the Netherlands, and the United States. 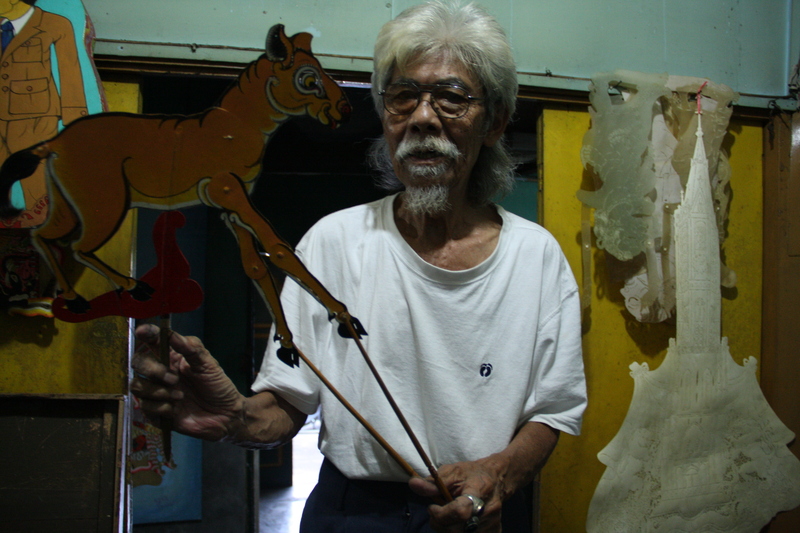 Ledjar came up with wayang kancil when in 1980, he found that Indonesians started to ignore puppetry. Seeking a way to make people fall in love with puppets again, Ledjar used kancil as his character. Kancil is a well known character in Indonesian folklore, especially among children, as a small yet smart deer that stars in many Indonesian fables. According to Ledjar, the fables contain important values. One of them is for example about saving the environment. “The fable is about kancil who stole acucumber from a farmer. If you look deeper, you can understand why this kancil stole that cucumber. It might be because it cannot find any food in the forest. Humans stole the food so kancil stole from the humans to maintain its life,” he explained giggling. Another specialization of Ledjar are his historical puppets. Some of the themes in his plays are related to the history of Indonesia. Indonesia’s revolutionary struggle and the arrest of Diponegoro (one of Indonesia patriots) are some examples of these popular historical themes. 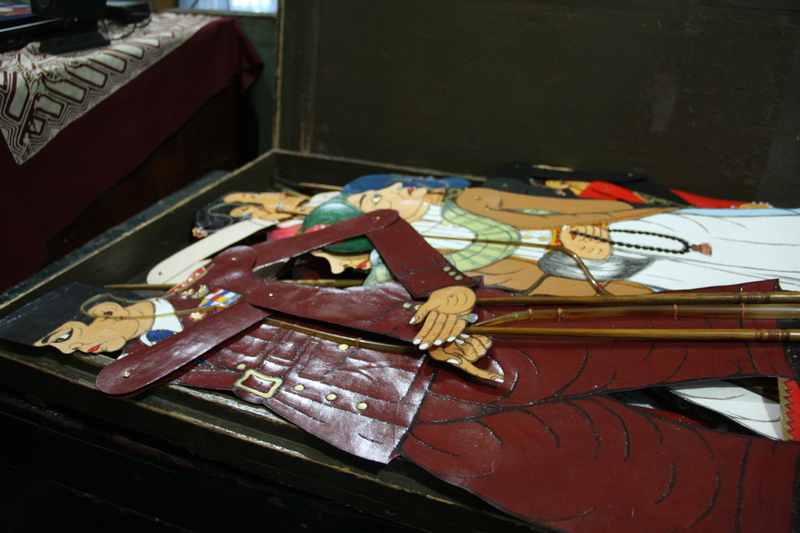 He believes that puppetry will help people to learn history in a fun way.